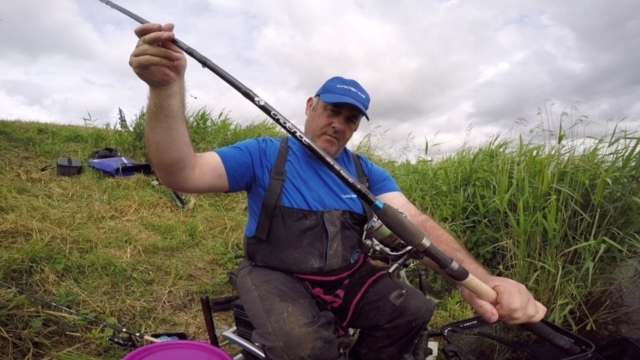 It is now 12 months since I first took possession of the Cadence CR10 13ft #3 Power Feeder rod – and as blanks go, it has to be amongst the most versatile I have ever used in 43 years of fishing seriously. Is there a “perfect” rod for river fishing? Choice is a great thing, but it can also be bewildering! I am joiner, and I have lots of tools which do lots of different jobs perfectly, but sometimes I could get by with some other tool in my box. 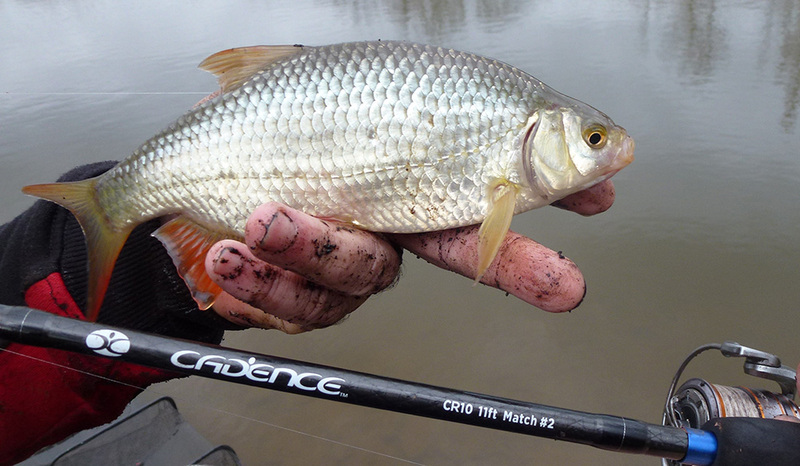 Same goes for fishing rods in many ways, but perhaps a nice compromise for many anglers is the Cadence Fishing 14ft #2 Match Rod. Let me take you through a recent day with it on my beloved River Swale. 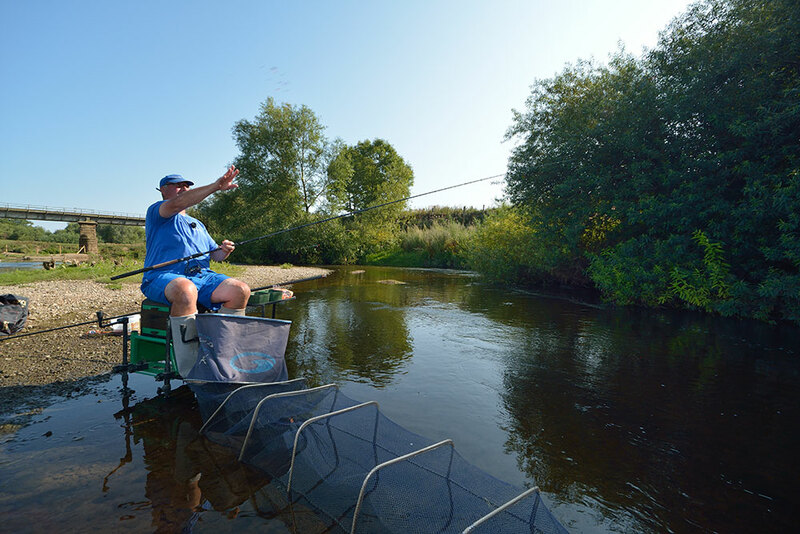 In matches on the Swale, pegs are long and you can often find three or even four likely fish holding spots within a numbered swim where you can choose to try and catch. A lot of decision making depends on water levels of course. 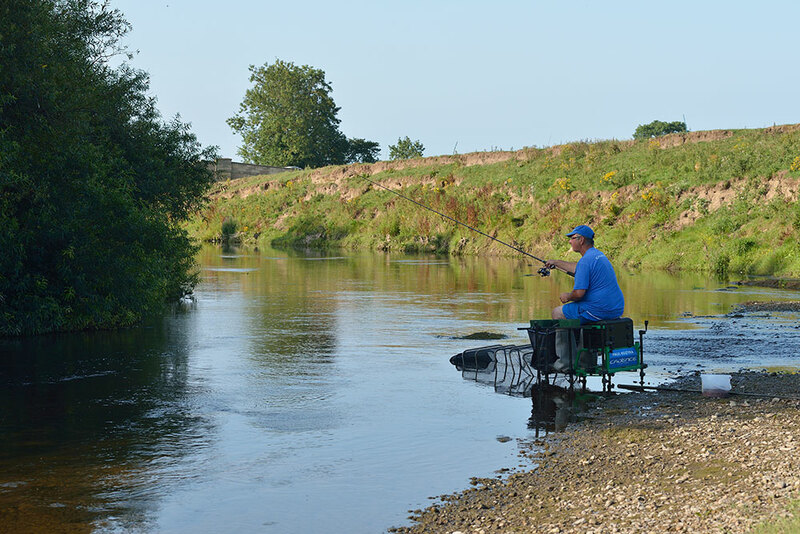 This dry and hot summer has seen the river on its bare bones, but a recent modest freshen up has helped a little bit, but on the day of my visit for this feature I had to rely on my intimate knowledge of the river in order to catch a few fish. 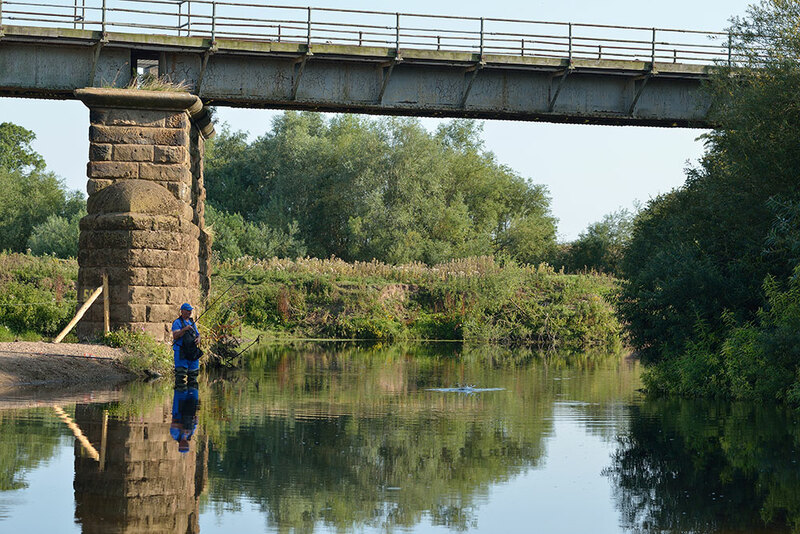 I reckoned the first few club member’s only swims located above Morton Bridge near Northallerton might throw up a few fish for me, simply because the tree lined bank stays in shade for much of the morning, and fish do seek cover when the river is low. 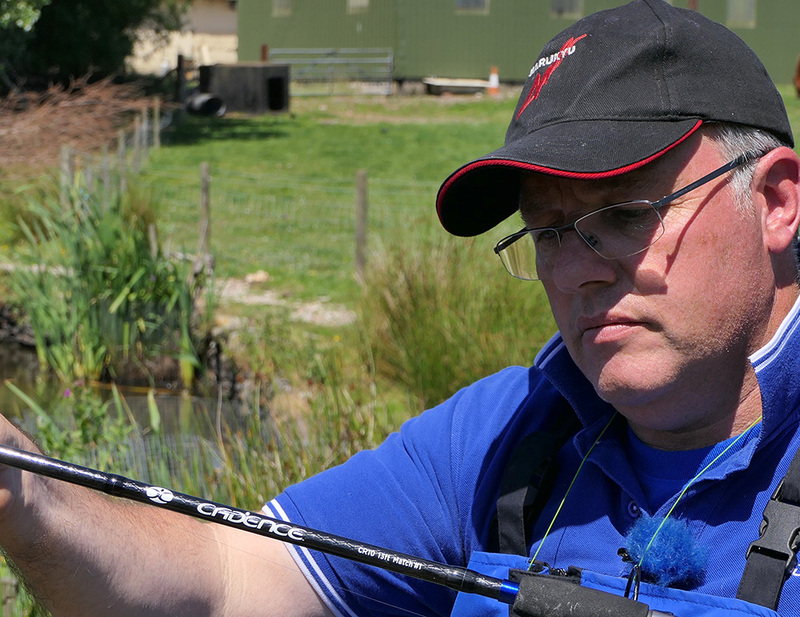 The water is currently crystal clear as well, so a worthwhile tip is to always avoid sky lining where the fish may be, and to approach your fishing spot as quietly as possible. I set up my box on the top edge of the slightly deeper run adjacent to the tree line and initially set up a small 2×4 wire stemmed stick float with a domed top on my Cadence CR10 14ft #2 Match Rod. So why choose this rod? A 13ft or even a 12ft could have been used surely? Yes, I agree, but where that extra length scores, centres around line control and pick up. 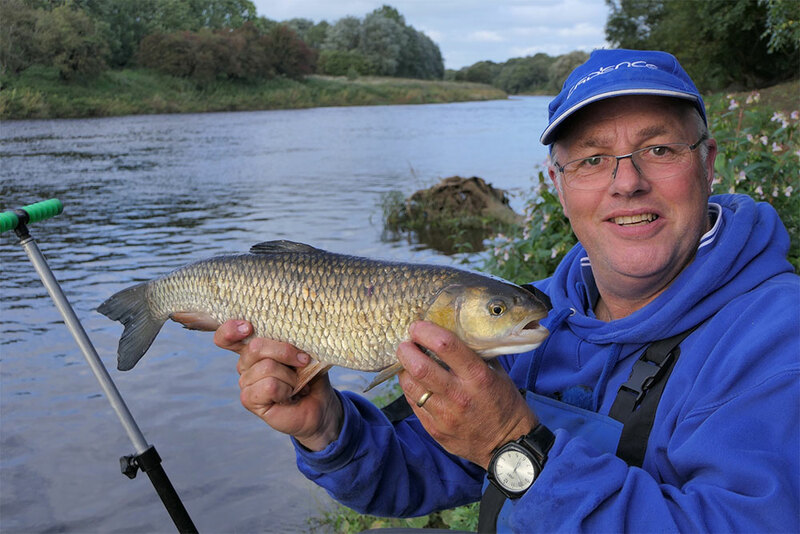 The #2 rating of the rod would also cope nicely with smaller dace and chublets, as well as any larger chub which may well turn up on such a swim as this. 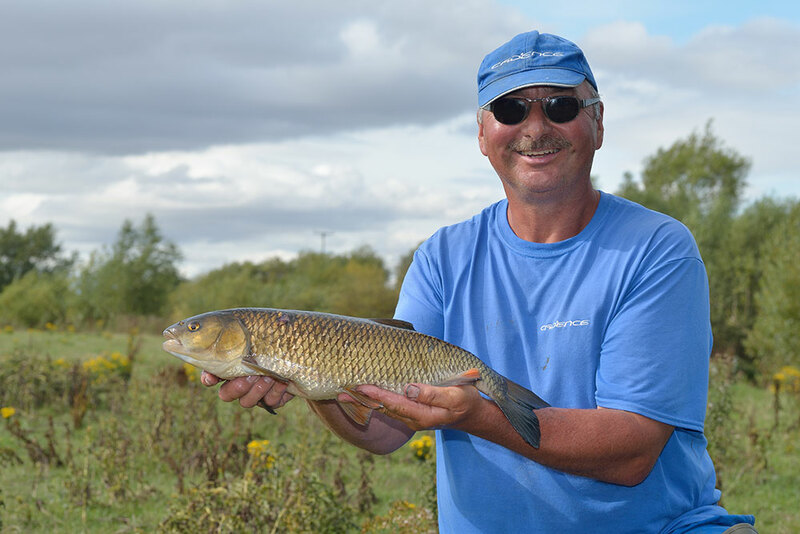 The Swale has millions of minnows in it, so it’s generally better to feed with hempseed and casters in order to try and avoid them and get through to the dace, chublets and hopefully chub which count in matches. I generally bring quite a lot of hemp and casters, maybe up to a gallon of each may be required on some days, so it can be an expensive day on the river! 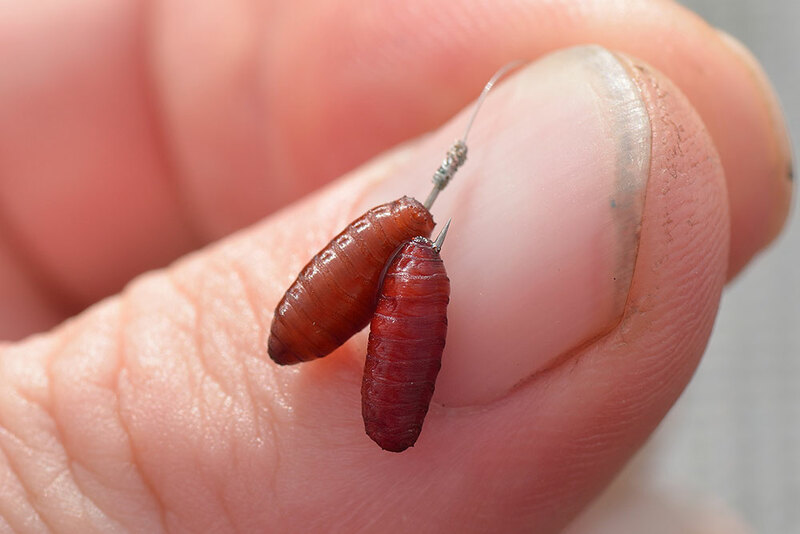 Feeding the swim needs to be done frequently, certainly every trot, and I would suggest a couple of dozen bait samples at first to induce the fish to respond. It’s vital to catch the early morning feeding spell in this spot before the sun comes over and the shade disappears. Shotting the float in only two to three feet of water is done with an even spread of size 8 shots, and I place the final one above my short hooklength of six inches. I pre tie a lot of hooklengths and store them in a box. It’s important to change your hook as soon as you sense the current one may be becoming blunt. A sharp hook will turn more bites into hooked fish. It sounds basic, but it’s amazing how many anglers I see bumping fish off simply because they are too lazy to tie on a new hook. The fixed hooklength size ensures my presentation is never compromised. A couple of hours on single and double caster hookbaits soon had me catching plenty of decent sized dace, plus a couple of slighlty larger chublets. The fish seemed to prefer the deep red coloured baits, and when I tried maggots on the hook I was only pestered by minnows. The 14ft rod enabled me to control the line perfectly in the pacey current which veered all over the place. I was able to control the float and hold it back when I needed to do so to induce a bite. The extra length was a godsend but I also knew I could handle any larger chub if one took the bait. However, the larger chub remained elusive, so I decided to have a wander up and try another swim above me. This swim was a typical glide with deeper water and once again it also had a tree lined far margin, perfect for chub. I caught a couple of similar sized 10 oz chub from it, but still those elusive big ones were playing hard to get. I returned back to my original spot and managed a scruffy looking bigger chub and added further dace. I felt there may be a better chance of larger chub further up stream, so we grabbed a catch picture of my morning’s work and headed off to pasture’s new. A change to a pin stick float would allow the wary chub to feel no resistance on my next swim which had a much slower pace. 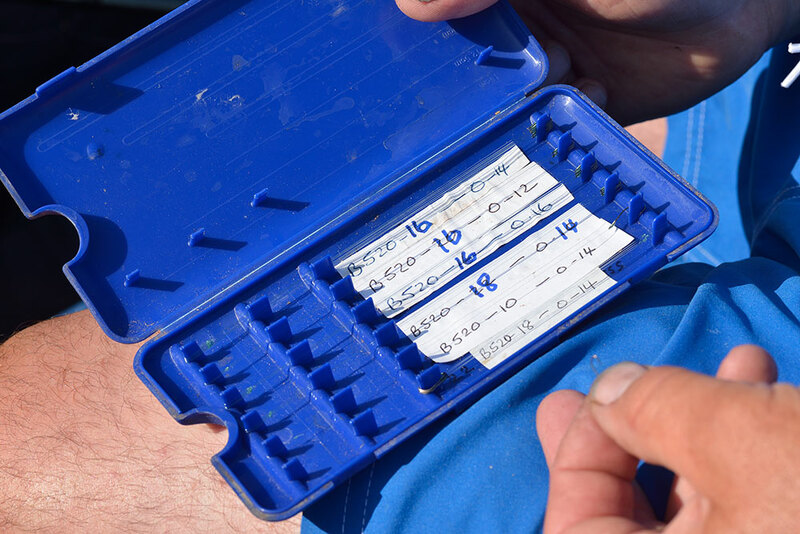 The same shotting pattern was employed but these hard to come by pin sticks are ideal for this kind of fishing. 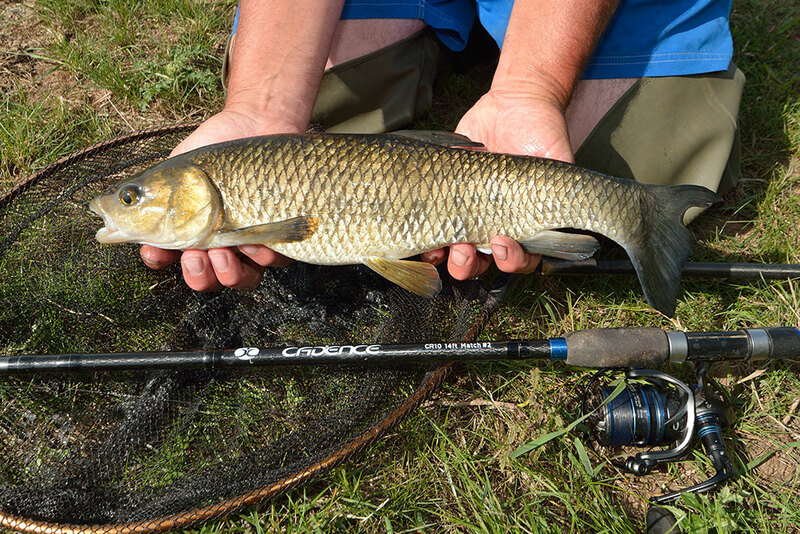 The key to catching chub on the Swale revolves around finding where they are lying up and then coaxing them out with judicious feeding regime. Once again the hemp and caster loose feed was pressed into service. 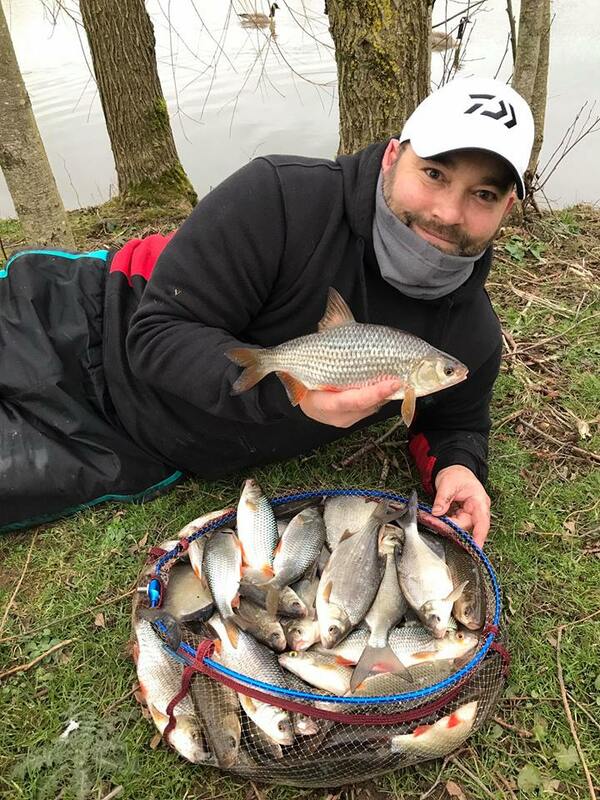 It took around half an hour before I hooked my first chub, weighing around 3 lb. A lovely fish to catch on such a tough day, but I felt certain more would follow. In the end my Cadence CR10 14ft #2 Match rod was well in control when I latched into three more chunky chub which did their level best to snag me in the tree roots, but the rod was more then a match for them with steady pressure drawing them out. Job Done! 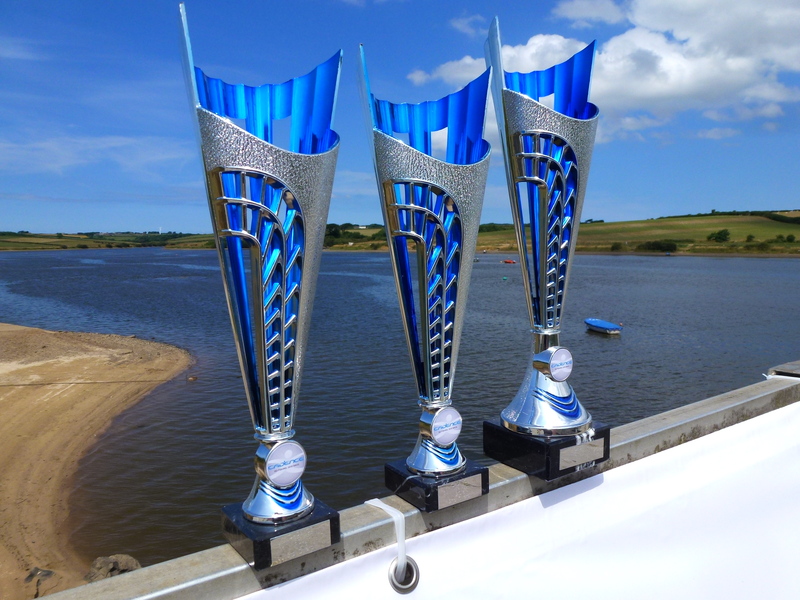 The swims I had fished were all winners under the right conditions, but that’s how it is on the Swale. It all depends on the levels and the colour. One thing is for sure though, choosing the Cadence CR10 14ft #2 proved its worth. What a versatile tool this rod is! Perfect? Well, you do need to step up to a #3 on some swims, and with overhanging branches on some pegs, a shorter 12 ft rod could be a better choice. But for a rod which is very versatile, it’s hard to beat the 14ft #2. 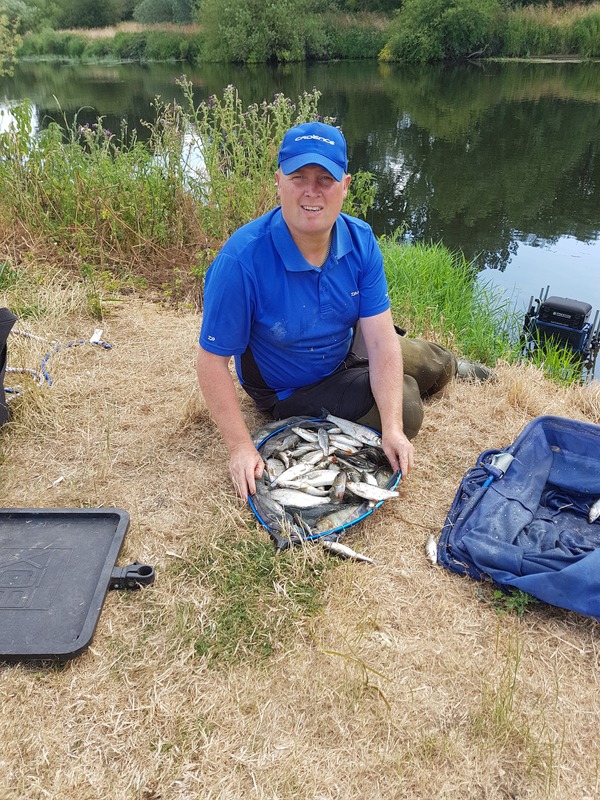 I was recently given special permission to fish the specimen lake on the prolific Goodiford Mill Fishery near Cullompton, Devon. I hoped to target the lakes silver fish, and I opted for peg four, which was sheltered from the bitterly cold wind. I was keen to use my new Cadence CR10 #2 11ft Match Rods, setting them up to fish in a conventional waggler style using 2g loaded insert peacock floats, set at 6ft (full depth). One rod had a 0.10mm hooklength with a size 20 wide gape hook with strung out No. 9 shot down the line, shirt button style. The other rod would be more positive, a 0.12mm hooklength to a size 16 wide gape hook, the No. 9 shot were used again but were pushed together tighter, just above the hooklength. Both rods were paired up with the Cadence CS8 4000 reel loaded with 3lb mainline. 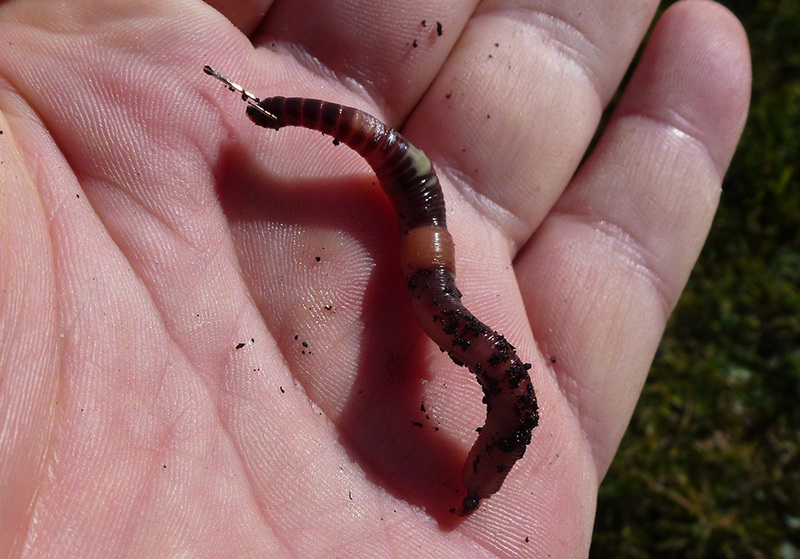 Bait was simple, I went with casters, hemp, red maggots and worms. Not knowing fully what to expect, I plumbed up the peg using an SSG shot gently squeezed on my hook. The bottom was flat and was around 6ft in depth all over. I decided to fish at around 25 to 30 meters, putting some distance between myself and the fish due to the clarity of the water. Constant feeding via the catapult at this distance was made easier as the wind was blowing off my back. 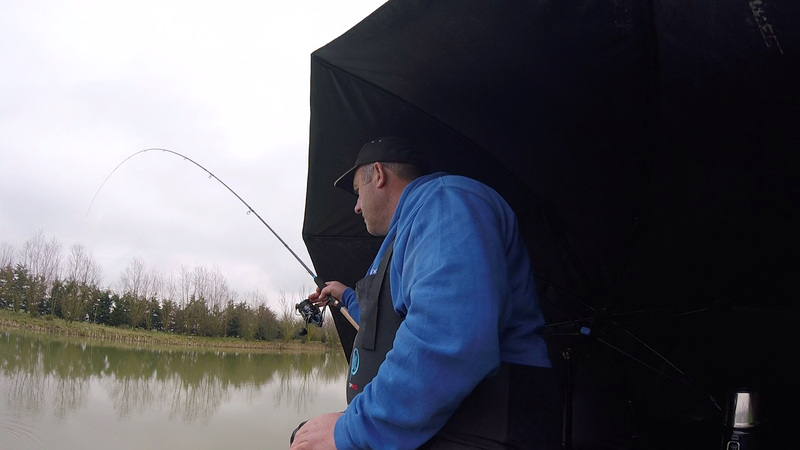 I started the session by using the negative rod, fishing at dead depth with a single maggot on the hook. It took around 20 minutes for the first bite, a 2oz roach that was soon slipped into the keepnet. No more bites followed for some time, but I continued to feed caster over the top. After about an hour, I had three small roach in the net. It was in the second hour that the fish “turned up” and bites were becoming more regular. I alternated my shotting pattern, pushing my droppers up towards the float trying to get a slower drop, I then pushed the shot together forming a double bulk, trying to see how the fish responded. I also varied the depth, fishing anything from 2ft down, trying to increase my catch rate and stamp of fish. By the end of the second hour, I was still catching small roach on most casts, with a few bigger silvers mixed in for good measure. I decided to up my feed of hemp and caster to every cast. I also switched to my more positive rod, which was fishing around eight inches off the deck with a worm head for bait. This resulted in a string of roach pushing the pound mark. Most of the fish came later on in the session. I tried to concentrate on avoiding the smaller fish and was using more substantial pieces of worm, a fitting bait for a bream! 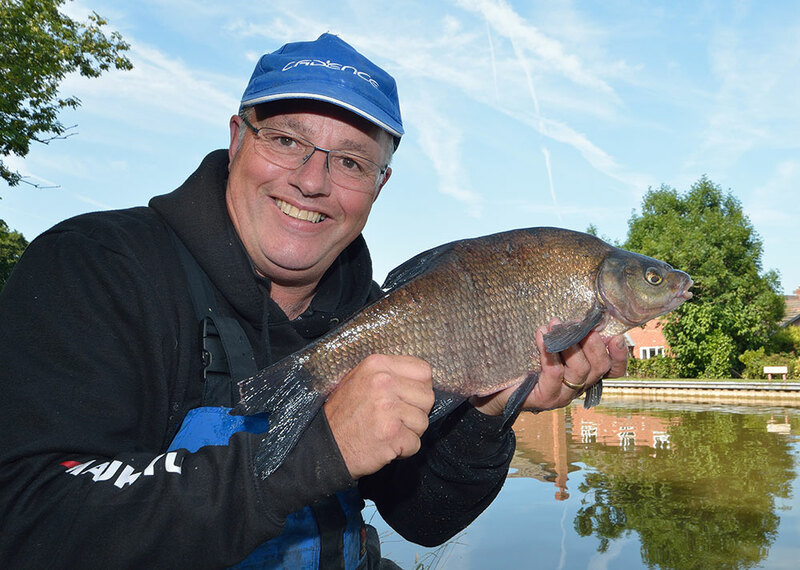 It worked well with a steady stream of roach, skimmer bream and rudd all coming to the net. At the end of the four-hour session, I finished with 30lb of fish. 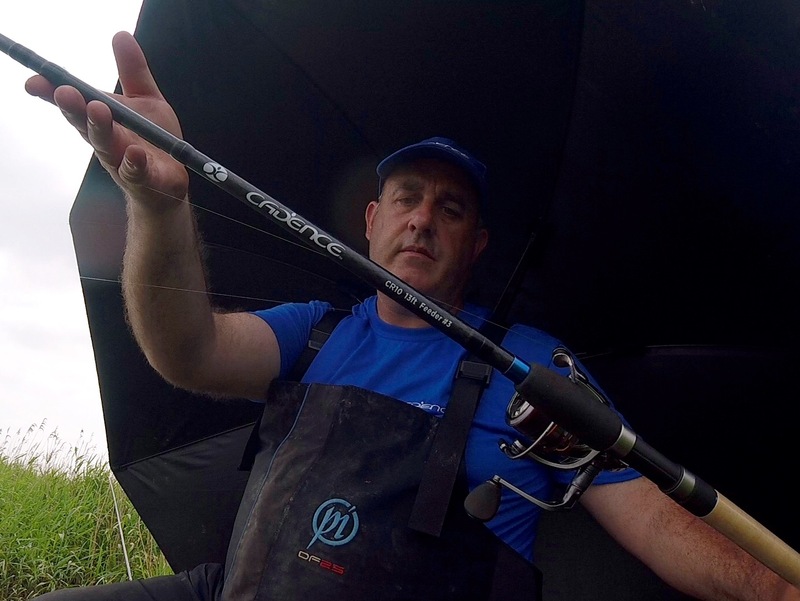 The Cadence CR10 11ft #2 Match Rod is such a versatile tool, I have used it for pellet waggler fishing when targeting carp, and it performed well when catching the silvers of Goodiford Mill. The top section is lovely and soft, cushions the lunges from the larger roach and it is fantastic for soft mouthed skimmers. It is fast on strike, enabling you to get a good hookhold quickly. 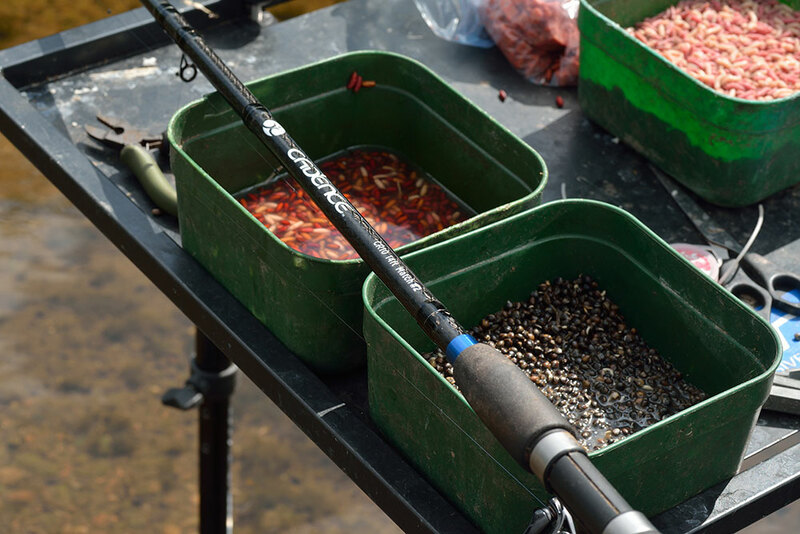 It is a stunning rod to use and is excellent for fishing shallow venues. With freezing conditions James and Paul Kozyra head to Woodland Lakes near Thirsk in North Yorkshire to fish for carp and whatever else they can. 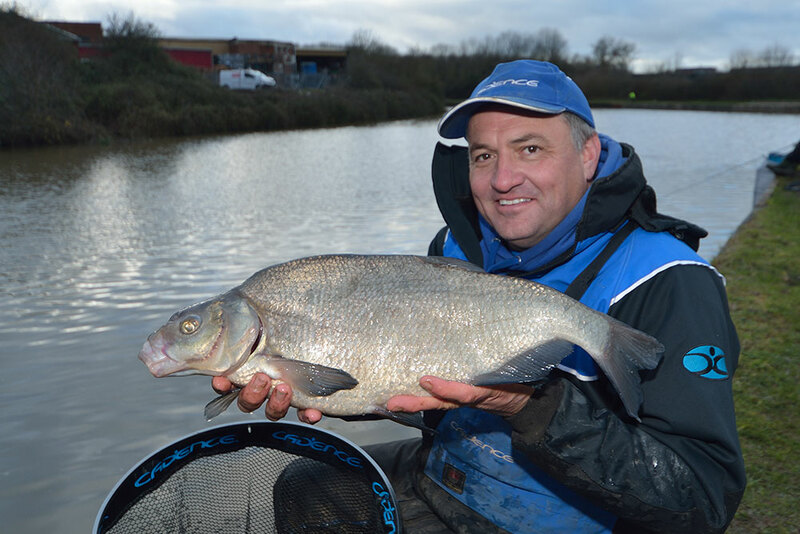 James and Colin Harvey shake off the New Year Celebrations and head to the Gloucester Canal for some winter bream fishing on the feeder.